Elasmobranchii are a subclass of the class Chondrichthyes also known as cartilagineous fishes; including sharks, skates and rays. There is a great diversity of elasmobranchs and other fish species along the coast of South Africa. The great white shark is a species typified with South Africa and is classified as vulnerable, which, as a result, has received a lot of scientific scrutiny. Due to the many difficulties of operating at sea and the lack of ecological data on Elasmobranch species, many smaller species tend to get left behind, resulting in data deficiency or sampling bias. 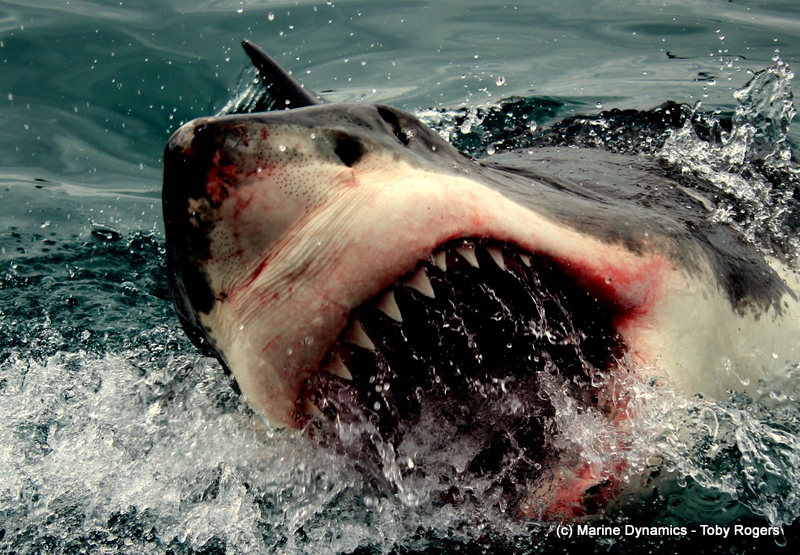 When I started my internship, earlier this year, the great white shark was primarily my point of focus. However, after a few weeks of fishing and ORI tagging, the smaller shark species, such as the dark shyshark and the pyjama catshark, really made an impact on me. For this reason, I chose to do my bachelors thesis on the smaller species. Thanks to the Marine Dynamics Academy Internship, I have had some training using BRUVS (Baited Remote Underwater Video Systems). 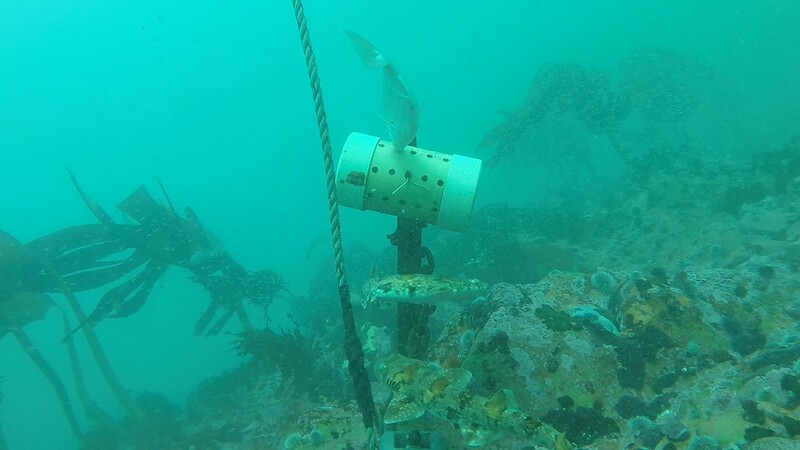 This is a great way of collecting data of the sharks in their natural habitat and in a non-invasive manner and will be the go-to method of my project. 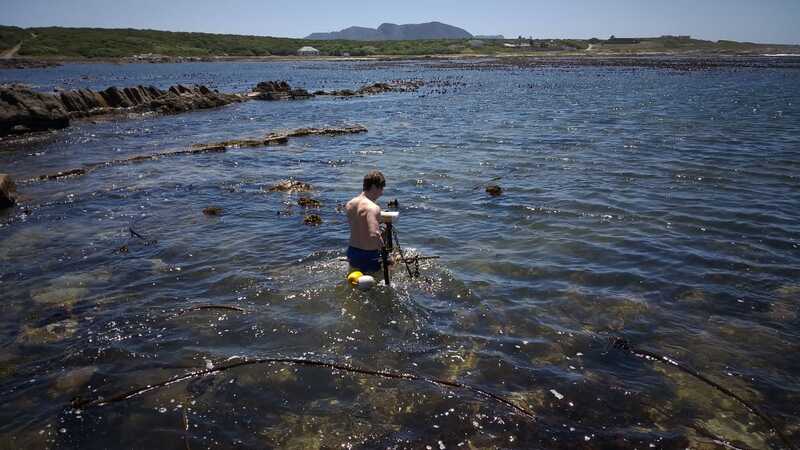 By using BRUVS I will be able to analyse the relative abundance and diversity of the species here in Van Dyks Bay, Gansbaai. What I expect to see is that the smaller shark species will appear more frequently in habitats with good coverage from predators; for example, kelp forests and murky waters. The footage from different times of the year will also tell me if there is a difference in relative abundance and diversity between seasons. In the first five days of my stay, time has flown by fast but that’s how it is when you have too much fun to describe, right? When I arrived at the lodge this Monday with the volunteers, I immediately got that familiar feeling of coming back to my second home. This afternoon was spent mostly planning ahead for my stay and get to know the interns; Valerio and Alina. I started the week by introducing how to analyse the BRUV footage to Alina and Valerio. The whole day was mostly spent in front of the computer, with a few cups of coffee. 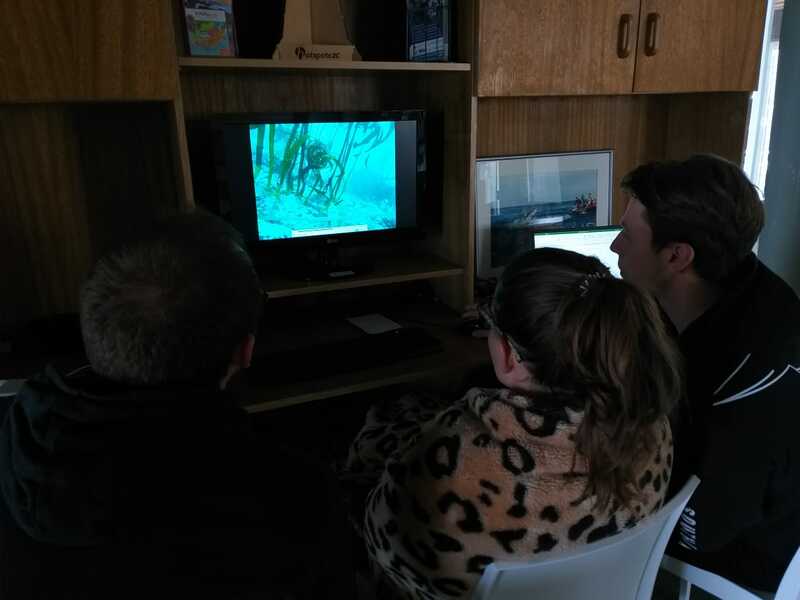 Analysing the BRUV footage is a time-consuming task due to often murky water and kelp that complicates the analysis. The interns and I got along great from day one, which makes an already incredible place even better. On Wednesday I got up to spend a couple of hours in front of the computer and then Valerio and I were off to Danger Point with Ettiene to go fishing sharks and possibly tagging. 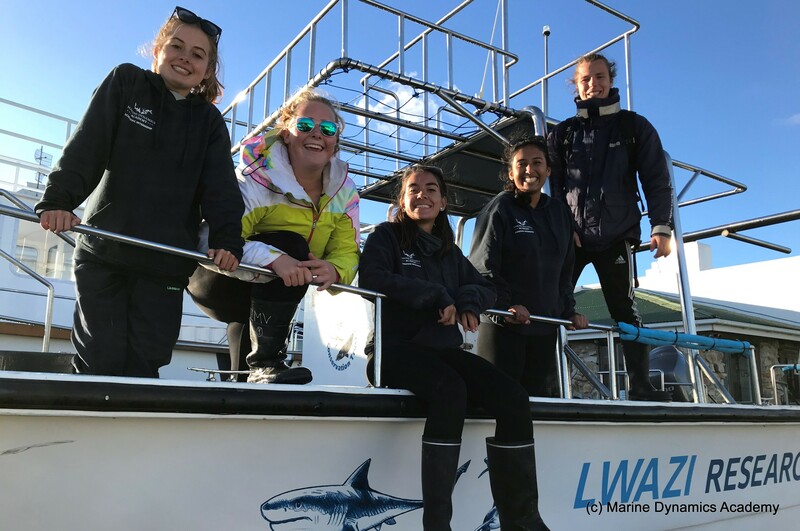 Lina had the pleasure to go with Marine Dynamics marine biologist Alison Towner to Hermanus for a lecture. I also took the opportunity to deploy a BRUV in the shallow waters where we went was fishing to investigate the shark activity. This was mostly for fun and to get some more experience but also for study purposes. Since we didn’t deploy the BRUV from a boat, it was my pleasure to swim out in the not so warm water and drop it on the bottom. Sadly, no fish was caught but the time was most enjoyable thanks to sunny weather and good company. Another day with BRUV analysis was spent on Thursday, and in the evening the interns, volunteers and I went to De Kelders to watch the sunset off the cliffs. 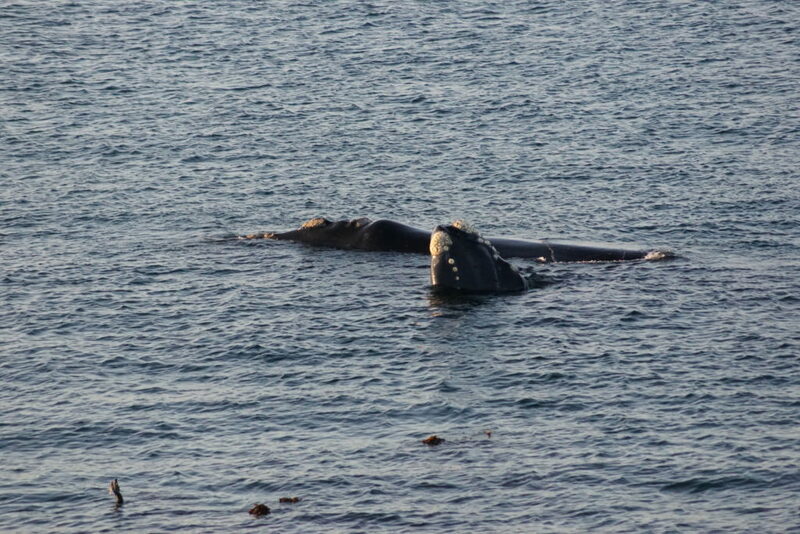 We were lucky to see a few whales very close to shore, rolling over and waving us good night. A lot of my time here in Gansbaai will be spent analysing already captured BRUV footage of the last two years but also deploying a few more. 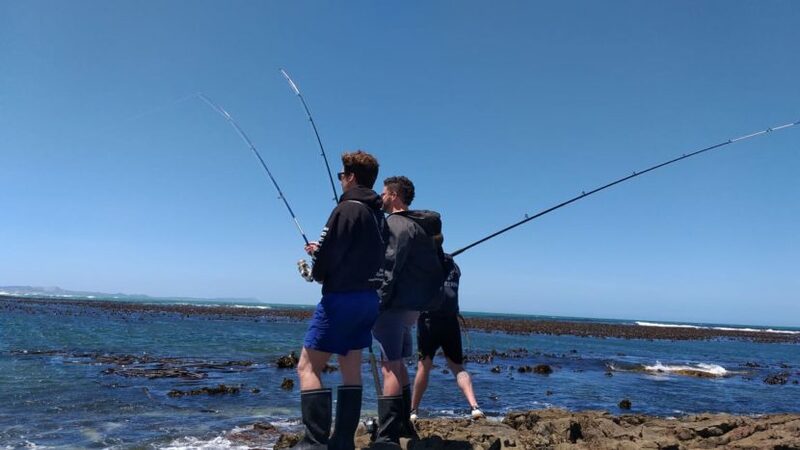 As always, I am super excited to be back here in Gansbaai with Marine Dynamics Academy, they have given me a great opportunity to execute this study and progress as a biology student.